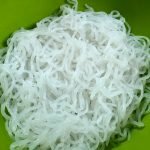 Home » What the Heck are Shirataki Noodles and Why Should I Care? 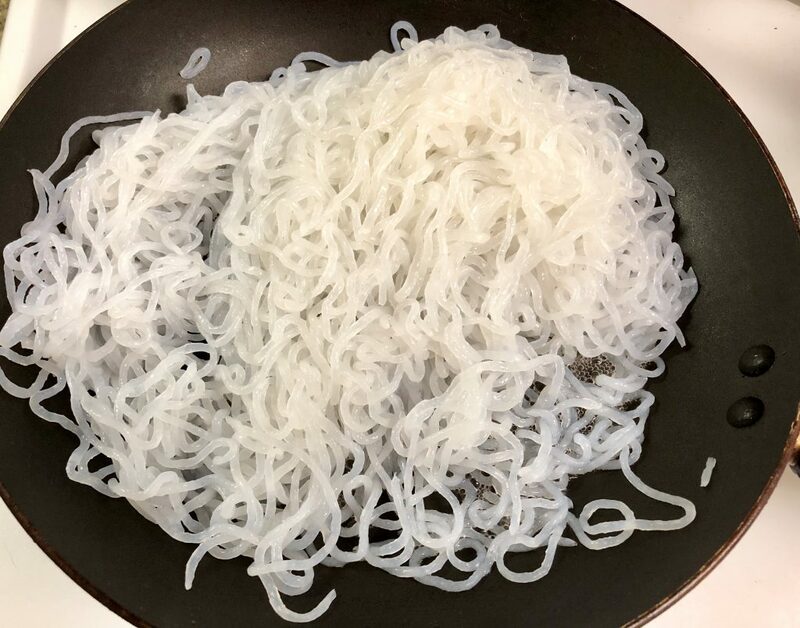 By now you may have heard of “Miracle Noodles” (Shirataki Noodles) but are still wondering what they are or if they’re any good. I finally gave in and tried them a few months ago and I’m totally hooked! It’s definitely time we demystified them, so let’s get to it! 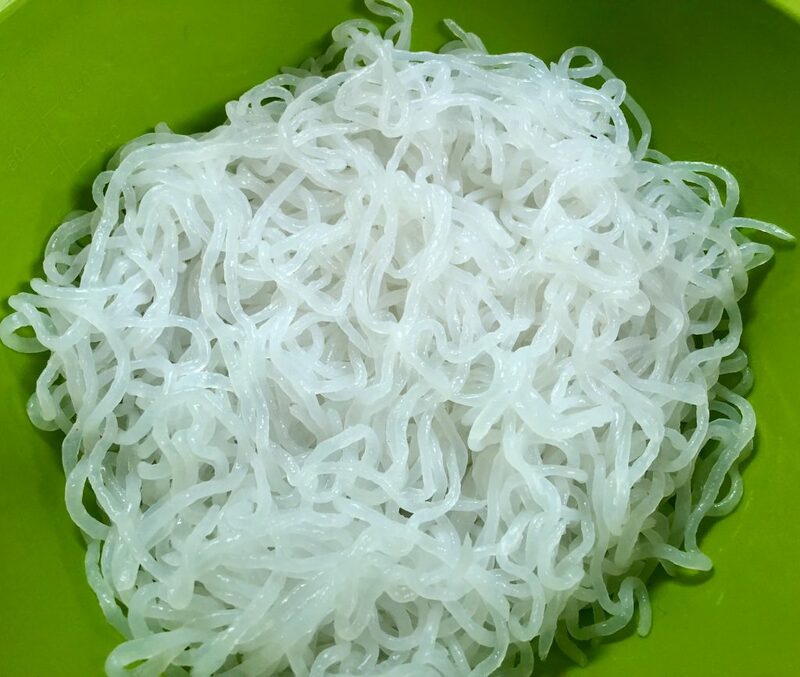 Ok first thing’s first, what exactly are Shirataki Noodles and are they good for me? 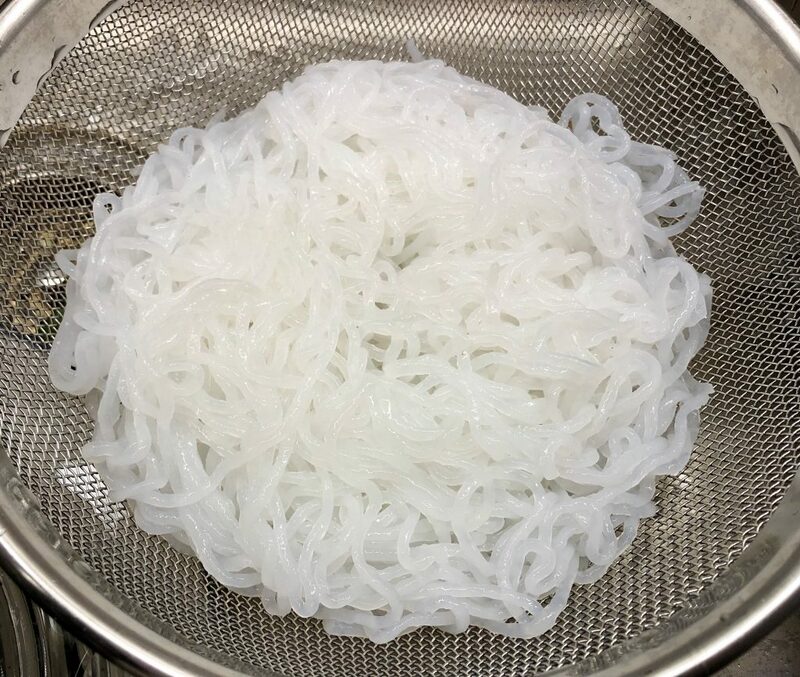 Shirataki Noodles are made from the Konjac plant and get this, are ZERO calories, ZERO cholesterol, Keto, Paleo, Gluten-Free, Grain-Free, Soy-Free, Blood Sugar-Friendly, and have less than 1g of carbs. 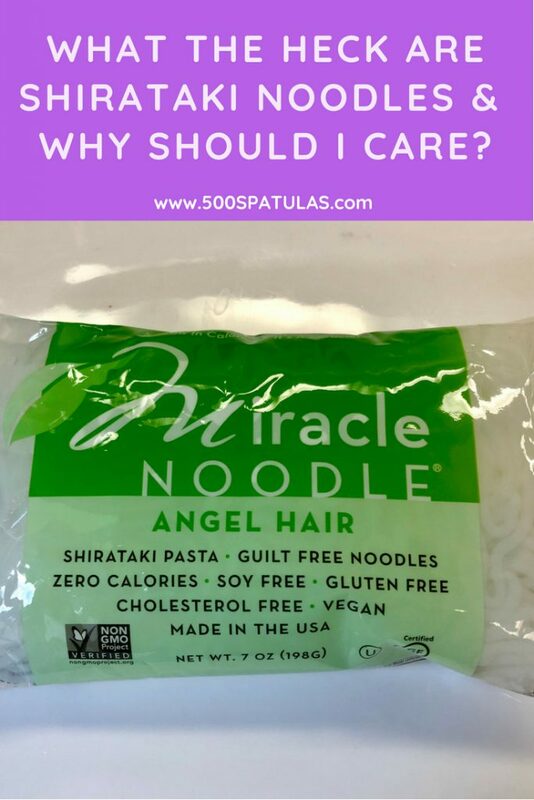 Am I missing something or are these noodles GUILT FREE???!?! You heard me. GUILT FREE. OK they’re guilt free. Are they disgusting? Shockingly, no! Once properly prepared, they actually have basically no taste and a completely lovely texture. So this means, bring on the sauce and let these chameleons bring some guilt free gluttony into your life! First things first, the noodles are packed in liquid. Drain the noodles in a colander and run them under cold water for 30 seconds. Don’t be alarmed if they have a bit of an odor. This will go away in the next step! PROMISE! 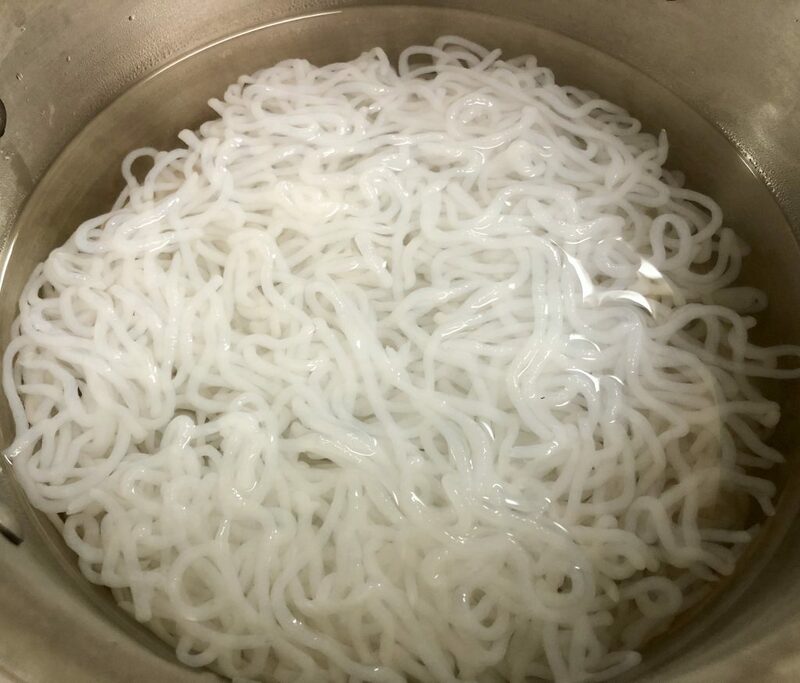 Transfer the rinsed noodles into a pot or heat safe bowl and cover them with boiling water. Let sit for 2 minutes. Transfer the “boiled” noodles into a skillet and dry cook them (no oil or spray etc) for a minute or until dry. The End. No guilt and a pretty simple cooking process. In my opinion, totally worth it! You can use these noodles in all of your favorite pasta recipes! Here’s one odd quirk I did discover. I recently used the noodles with an avocado pesto sauce and after a while, the noodles seemed to disintegrate a bit. I’m not sure if there’s an enzyme in avocado (or the lemon in the sauce) or maybe because I let them sit too long, but something definitely changed! So I’ve learned these are not ideal for make ahead recipes but are so good for everyday cooking! Can’t wait to hear what you think! Drain noodles into a colander and rinse under cold water for 30 seconds. Transfer rinsed noodles to a pot or heat safe bowl and cover with boiling water for 2 minutes. Move noodles and dry cook in an oil/spray free pan for a minute or until dry. Add sauce of your choice and enjoy!